We had a situation at work where we wanted to launch a campaign. We wanted to find out when was the busiest day and what time was the busiest. 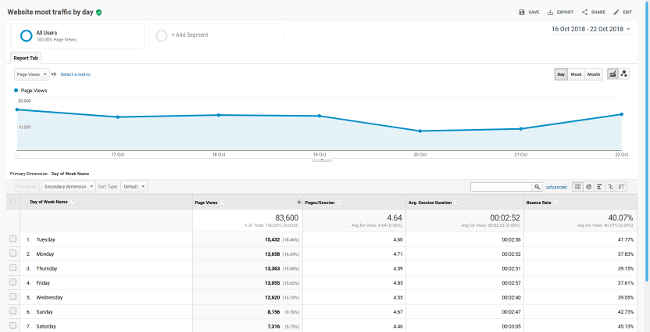 Doing this with the out of the box reports in Google Analytics is difficult as there no way to create this report. The best way to do this is to create a custom report. 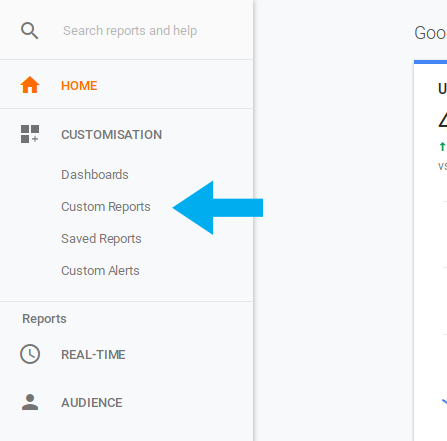 Log into Google Analytics, On the left navigation click on Customisation link, once the dropdown is expanded then click on Custom Reports. On the Custom Report page click on + New Custom Report. Under general information give the report a suitable title. In my report I called it Website most traffic by day. 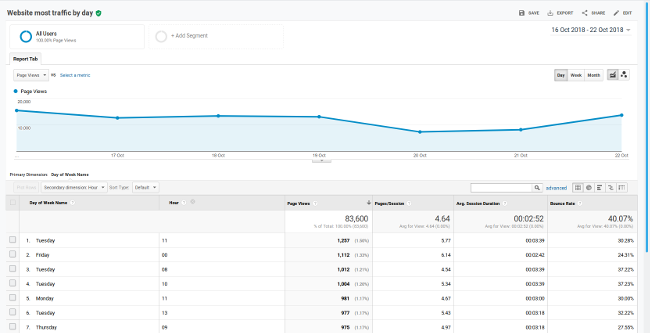 Under the metric groups add the following metrics Page Views, Pages/Session, Avg. 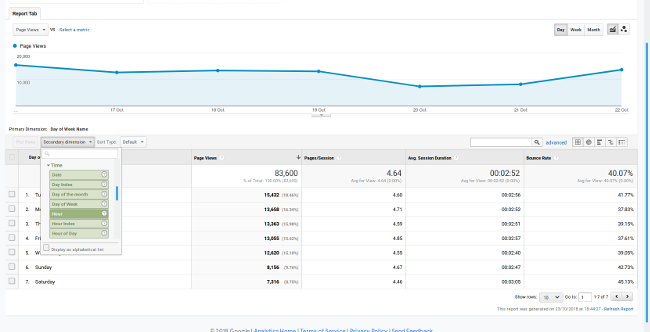 Session Duration, Bounce Rate. If revenue is more important for your report you could add in Revenue, E-commerce conversion rate or Goal conversion rate here. Now on Dimension Drilldown enter the Day of Week Name. Finally in views select which accounts you want the reports to be available. I always tend to select All view associated with this account and then save the report. The report should be saved and you should redirected to the report we just created which shows traffic by visited by day. To get the hours of the week from the Secondary Dimension and select hour. From the demo below you can see the busiest time of the day is Tuesday at 11am. This report can also be used inversely to find out what time of the day you have least traffic and can be used to find out when to do site maintenance. Here is a link to the report. To import into you Google analytics profile.